Fall is a time for change, but there’s one thing people often leave untouched: their workplace benefits packages. November is the beginning of the open enrollment period for many workplace benefit plans, making it the ideal time to review your insurance information and other benefits. Watch out for these common pitfalls when enrolling in workplace benefits. When starting a new job, the numerous decisions you need to make are overwhelming. Consequently, health insurance decisions often get minimal attention. For many people, though, those choices remain in place for much of their careers. Sticking with the default option may be detrimental for two reasons. First, your life situation has likely changed. As you age, you need more comprehensive health coverage. You may also need more extensive dependent coverage or have more disposable income to contribute to an HSA or FSA. Second, most companies renegotiate their insurance rates annually. Your employer may have negotiated lower premiums or better coverage. You’ll only discover these options by discussing your coverage for the next benefits year with your HR representative. Being covered by both your own and your spouse’s plans can be a serious financial hazard. First, you may be overpaying for insurance. Adding a spouse to a workplace policy can be cheaper than having two separate policies. Study both policies and determine which one is more advantageous. Spousal surcharges also continue to be part of the benefit strategy for a growing number of employers. A spousal surcharge usually applies only if the spouse declines coverage in his or her own employer’s plan when eligible to enroll. Be sure to check with your employer to see if these fees apply to your plan. Enrolling in a Health Savings Account (HSA) or Flexible Spending Account (FSA) can sting, as unspent dollars leave your paycheck. Don’t let that deter you. HSAs and FSAs are similar in function with important differences. Both allow you to contribute pre-tax dollars for health care-related expenses. The principal difference between them is that HSAs rollover their entire remaining balance to the next year, while most FSAs only rollover up to a certain pre-established limit. With an FSA, you have access to your entire annual election amount any time during the year, even if you have not had all of the money deducted yet from your check. With an HSA, you only have access to what has actually been deposited into your HSA to date, like any other bank account. Enrolling in one of these accounts requires estimating your healthcare costs for the next year. Assume you’ll spend the same amount you did last year. For a planned medical expense, such as a surgery, you can get an estimate to guide your contributions. 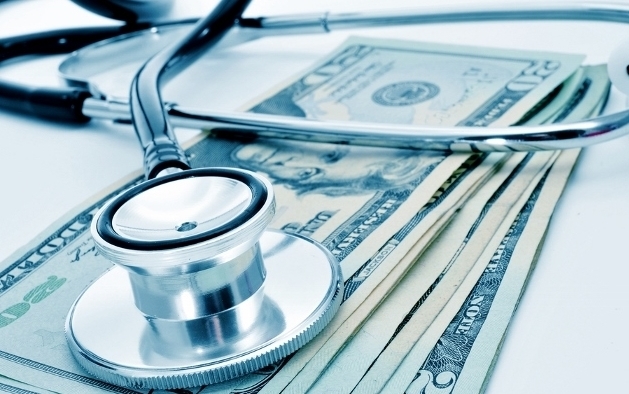 Funding an HSA or an FSA is free money off your taxes. You’ll have to pay for medical expenses; by designating money for it early, you avoid paying taxes on that money. It’s crucial to revisit your benefits options once a year. Save your insurance paperwork and attend the informational meetings. Being an active participant in your benefits decisions will make sure you are choosing the best option for you and your family! I used to be just recently identified as having a condition of the skin known as Licus Planus soon after having a new Blood Pressure medication Acupuncture and Chinese Medicine services in arvada colorado. I found myself introduced to Seth via an additional specialist I understood and inside of 2 days of experiencing him the severe itchy rash that we were experiencing got faded!